Your support will help me create more artwork and personal projects! What will the bride think of her partner's physical change? I wonder if there is going to be angel and devils food cake. Ooh and carrot cake. 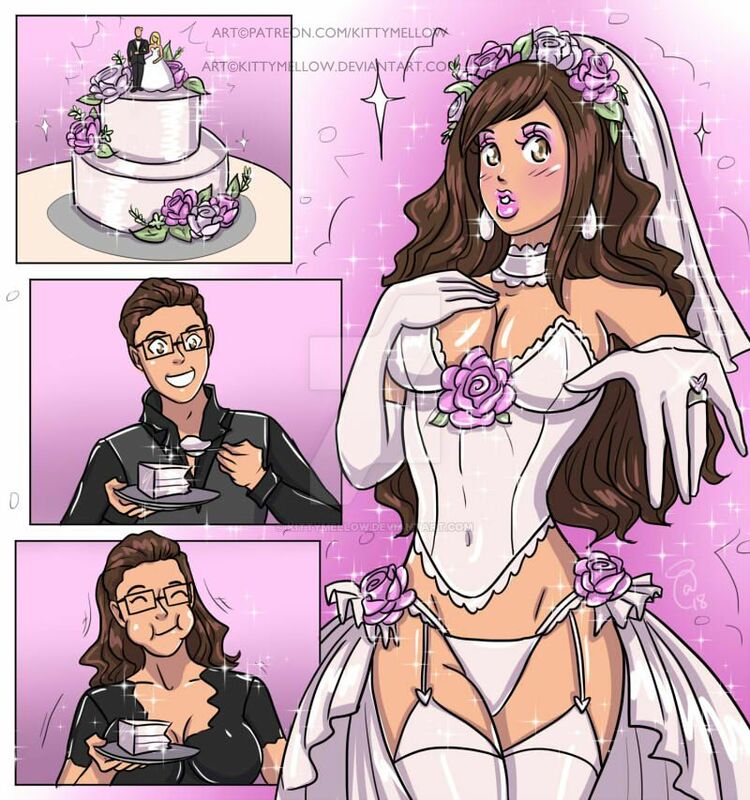 Your cake-theme transformation stories are cute. I love the way the girls' outfits resemble the cakes. Yes cuz it's commissioned by the same person. Welcome 'n thanks so much Glad to hear you enjoy my work!! I wish there were two brides! Can I order one of those cakes!? Finally, a goal that's both hot and reasonably achievable. Looks like the groom has become the bride!